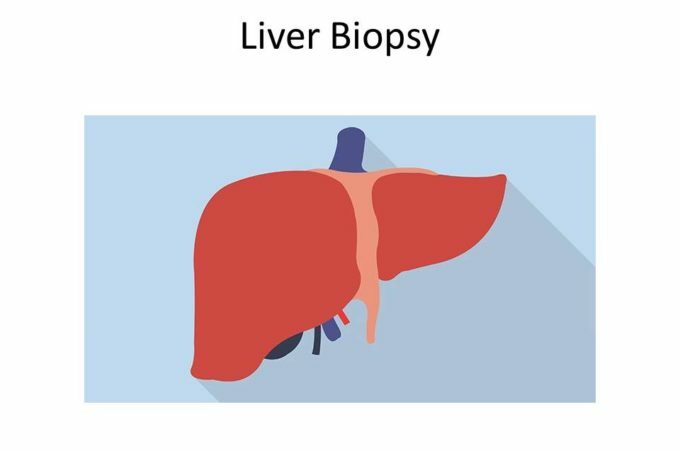 Liver Biopsy is the diagnostic invasive procedures done in minor operating room setup. Removal of a small amount of liver tissue biopsy needle for the examination of liver cells. Attach the vital parameter for monitoring the patients during procedures. Clean the Right upper abdomen (Right hypochondrium region) using the skin preparation antiseptic solution. Get ready with the local anesthesia, emergency medication, and premedication drugs ready. Draping did use of sterile drape on the needle insertion site. The check with the biopsy needle working or not before introducing. The Physician promptly introduces the biopsy needle into the transthoracic or transabdominal route, penetrates slowly and puncture the liver aspirate and withdraw slowly. After the procedures close the puncture site with Sterile gauze pieces and clean the area. After few minutes closed puncture site with Gauze with Micropore plaster to avoid discharge of Fluids or bleed. Sent to the Pathology for the examination. Confirm the date of Result available to patient and attender after the procedure over.